We are pleased to announce that the new email scheduling feature is live! 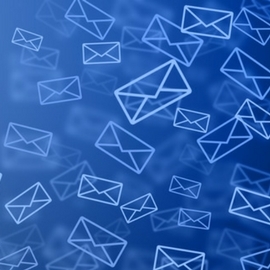 This enhancement to your service allows you to run more robust email marketing campaigns. We’ve made sending emails as easy and intuitive as possible. You now have a seamless solution for saving drafted emails and sending them at a later date. Vying for the top spot on Google isn’t easy. It requires reasonable expectations and a search engine optimization (SEO) strategy that drives long-term results. Alongside SEO, pay-per-click (PPC) advertising is a great way to gain more real estate in the search results. The difference is, with PPC you gain instant access to this real estate. 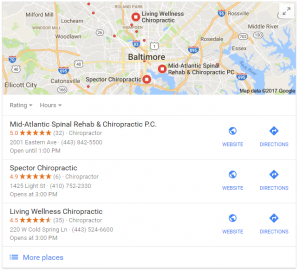 The reason so many chiropractors choose PPC advertising is because they know exactly where their dollars are going. You specify a precise geographic radius, set a budget to control your costs, and only pay when a potential patient clicks on your ad. Unlike organic search, PPC gets you search engine visibility the moment you activate your campaigns. 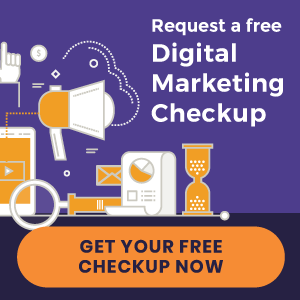 You can launch a campaign on Monday and start seeing more website traffic and patient conversions the next day (depending on how much you spend, how well your campaigns are optimized, and other key factors). PPC offers low-risk testing for keywords and demographics. You can analyze campaign performance to see what people are clicking on and how much you are paying per click. This allows you to test what’s working and where you may need to improve. Managing your cost-per-click and daily budget to optimize your investment. 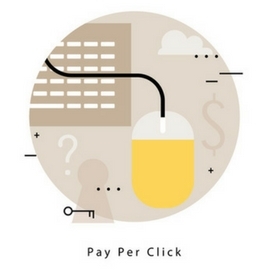 PPC is an ongoing, collaborative effort on part of both you and your PPC provider. Learn how Perfect Patients uses an integrated PPC approach for the ideal new patient solution. Are You Missing Out on New Patients? Google’s local search algorithm scans the office hours listed on your Google My Business listing then determines which businesses to display based on who is “open.” This highlights the importance of having accurate office hours on your Google My Business listing. Moreover, it’s not just about displaying the hours in which you see patients, but the hours in which there is someone there to answer the phone. For example, maybe you don’t take appointments on Thursday mornings, as you dedicate this time for admin work. Your Google My Business hours should still show that you are “open.” If there’s someone at your office who can answer the phone and set an appointment, your hours should reflect this. Say that it’s 10:00am on Thursday and a potential patient searches on Google for a chiropractor near them. The potential patient looks at the Google Maps results and scans the listings. Google sees that you are “closed” on Thursday mornings, so your practice is nowhere to be found. You’ve likely lost this patient to a competitor. Log in to your Google My Business listing and be sure that your office hours show availability any time someone in your office is able to answer the phone. « New websites launched | The Chiropractice and more!